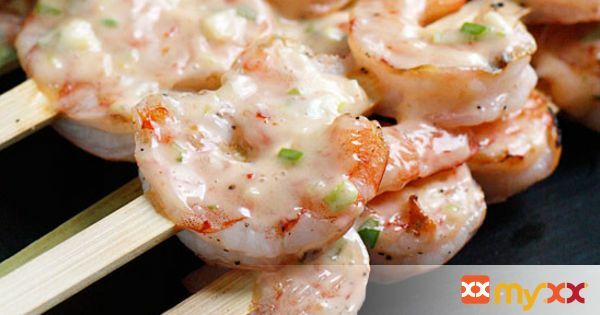 These shrimp skewers are the bomb! The spicy, salty, sweet combination of the creamy chili sauce is what makes them so good. I actually double the sauce recipe to see what else I can add it to this week!